Gone are the days of freezing your fingertips off just to check your phone. 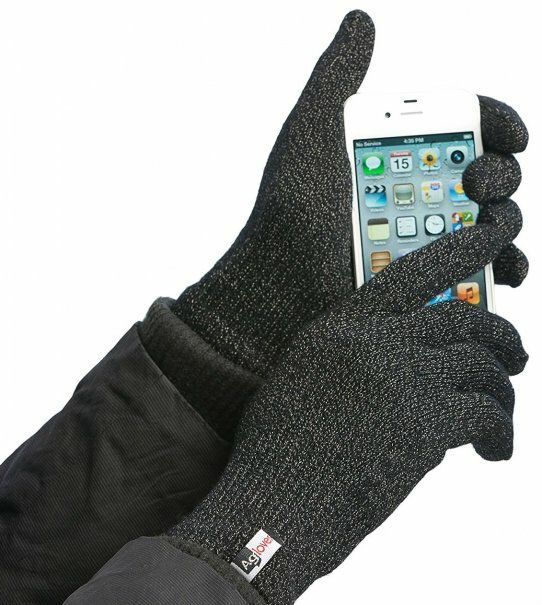 With the right winter gear, you can interact with your favorite devices without ever having to remove your gloves. 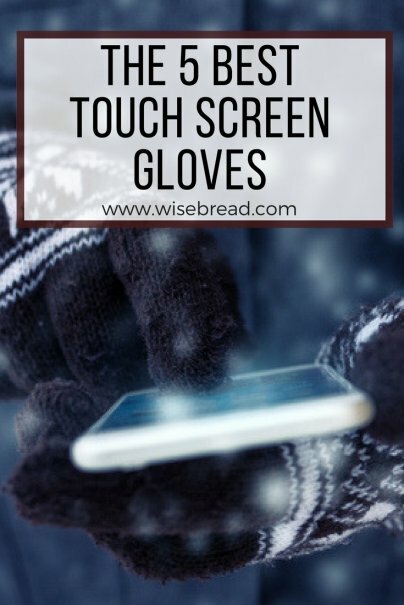 What are touch screen gloves? Touch screen gloves are tech-friendly gloves made with conductive fibers that replicate the effect of fingers on a touch screen. This means you won't have to brave the elements just to check your latest text. The lightweight, breathable Agloves Sport Touch Screen Gloves provide 10-finger functionality for easier use. They're compatible with all touch screen devices including smartphones, cameras, tablets, multimedia devices, and gaming systems. The thick, stretchy gloves are made with real silver for better conductivity and heat trapping. The stylish, award-winning design features snug-fitted cuffs to seal the wind out, while acrylic fabric helps draw moisture away from the body. These are hand washable and available in a wide range of colors and sizes. 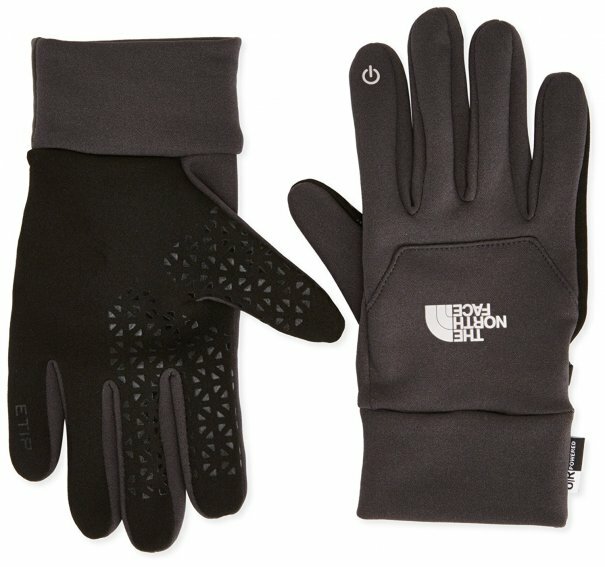 The top-rated gloves are recommended by Lifehacker and Tom's Guide. 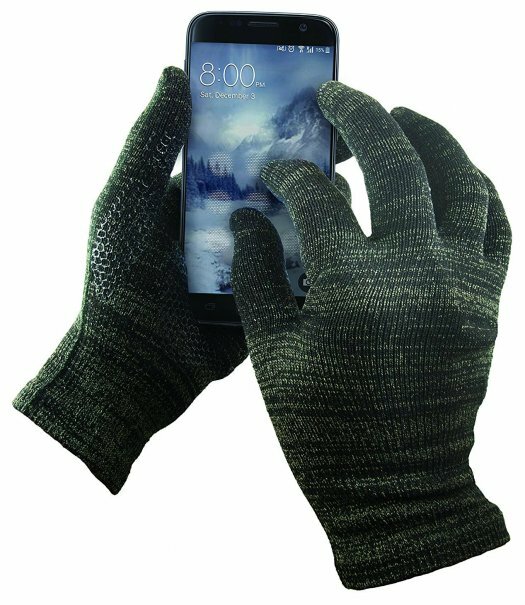 The Agloves Unisex Sport Touchscreen Gloves and Agloves Touch Screen Gloves For iPhone, iPad, Galaxy, Touch Screen Devices are other trusted options from the brand. The cutting-edge GliderGlove Copper Infused Touch Screen Gloves are a bit thinner, so they're ideal for warmer temperatures. They're double lined for greater warmth and feature a soft-brushed interior and stylish brimmed cuff. Copper-based conductive yarns are interwoven into the entire surface of each double-insulated glove so you can use the whole hand to easily control the screen. They also have anti-slip grip dots on the palms for better grip. These work with smartphones and tablets. They're available in various sizes and styles. They're recommended by Lifehacker, The Wirecutter, and Gizmodo. The North Face Unisex Etip Gloves are a bit thinner, so they're ideal for warmer temperatures. They can help keep hands in their natural position for optimal comfort. 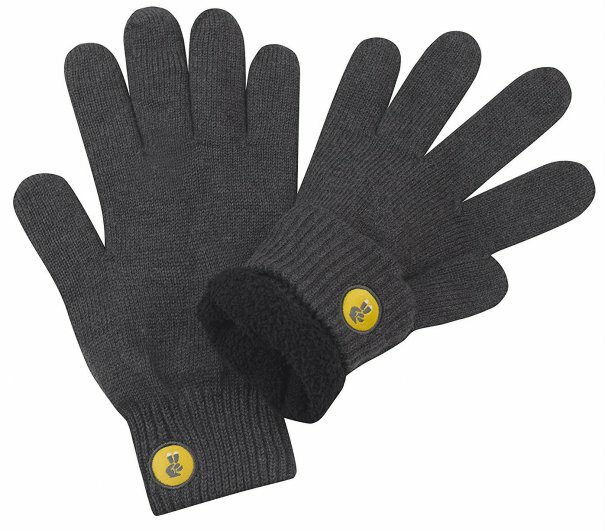 The four-way stretch fleece gloves have a snug fit thanks to five-dimensional sizing. They have Etip functionality and full palm conductivity for optimal usage. These are available in a wide range of colors and sizes. They're recommended by Lifehacker, The Wirecutter, and Gizmodo. The stylish Glove.ly Cozy Touch Screen Gloves are made of a premium wool blend and a special insulated lining for additional warmth and comfort. Invisitouch solid-colored fabric allows full hand usage while the microfiber care label allows you to conveniently clean your phone or glasses. Magnets are also hidden beneath the logo so you can keep your gloves together and don't have to risk losing them again. These are available in a range of colors and sizes. They're recommended by Lifehacker, PC World, and The Grommet. The Head Digital Sport Running Gloves are ideal athletic gloves because they offer a comfortable fit all the way through the fingers and a secure grip thanks to a silicon palm design. They're Sensatec Touchscreen Compatible and feature a sleek design with an extended cuff. These are available in two colors and a range of sizes. They're recommended by Lifehacker. 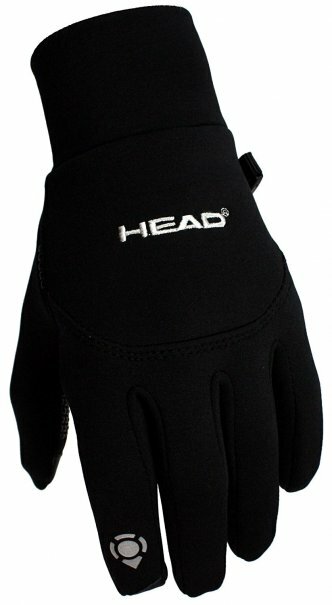 The Head Multi-Sport Running Gloves with Sensatec is another frequently recommended option from the brand. And those are our recommendations for the best touch screen gloves. As always, be sure to check Wise Bread's Buying Calendar to learn when and how to buy just about anything!